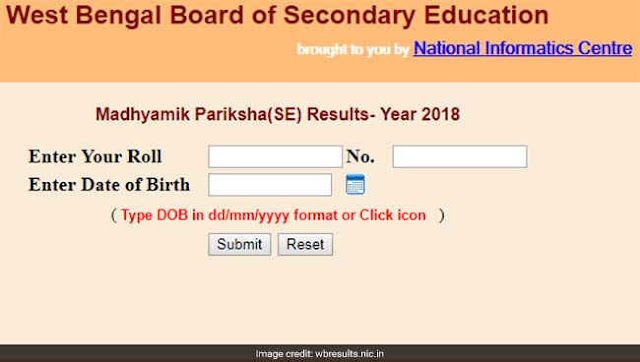 West Bengal Board of Secondary Education (WBBSE) declared its class 10 Results 2018 today morning at 9 AM and has been available on its Official website from 10 AM. West Bengal Madhyamik Pariksha Class 10 Examnination was conducted this year in the month of March. Go tho the Official Website and Enter your ROLL, NUMBER, Date of Birth and Press Submit button. Regards to you all The Students ! !